When doing work beyond the regular work schedule, companies use overtime sheets for employees to fill up. This is one of the many spreadsheets a typical business employs. Like the balance sheet, an overtime sheet plays a crucial role in business. They make sure hours are properly tracked and compensated. 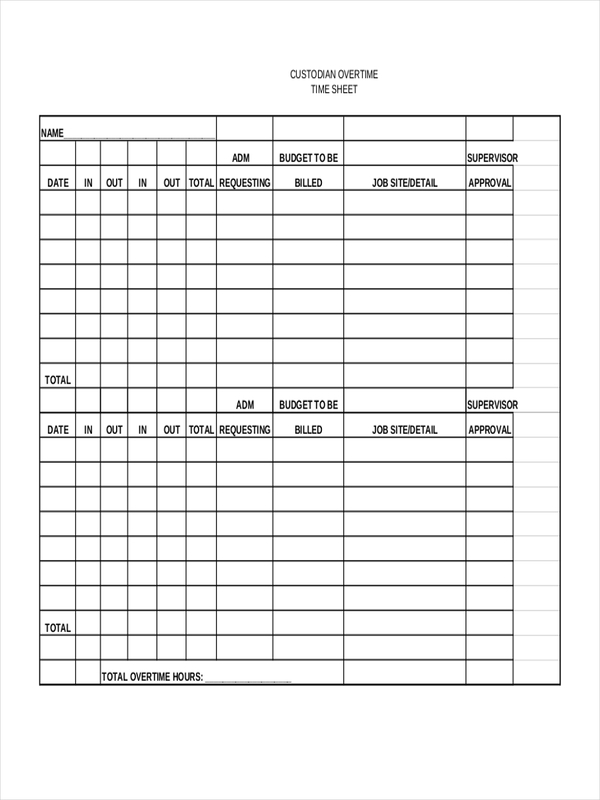 Sheet examples in pdf shown in the page provide a better understanding of how an overtime sheet is made and filled up. All of the examples are available for free download. An overtime sheet is a document filled up by an employee who performs work over an extended amount of time beyond the minimum contracted hours. 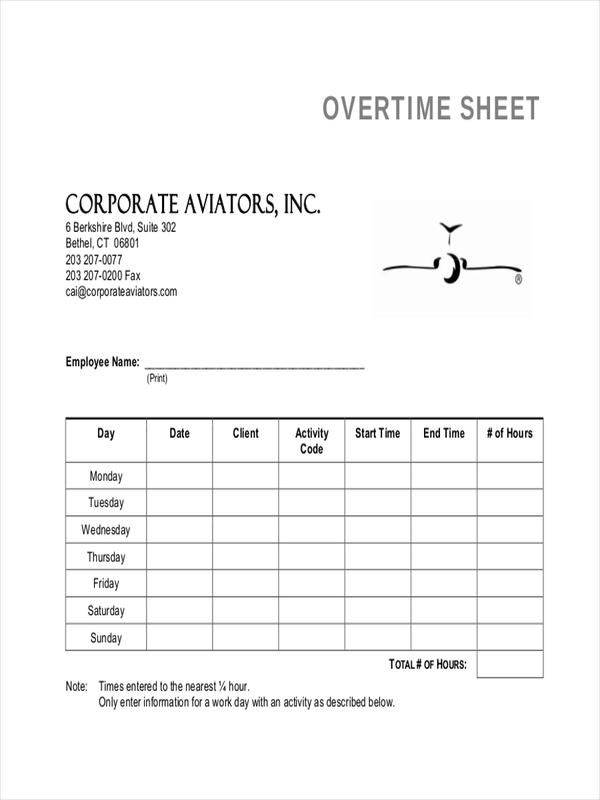 Businesses use such a document to record, validate, and maybe improve the performance of such overtime work. MS Excel is a mainstay in most businesses, thanks to its many indispensable functions and features, such as relatively easy and accurate data entry on small and large scales. Naturally it will be the perfect application to start keeping time sheets and attendance records, and that includes the overtime sheet. Modifying whatever attendance-checking system you have in place might also work for you if creating a new sheet seems unnecessary. 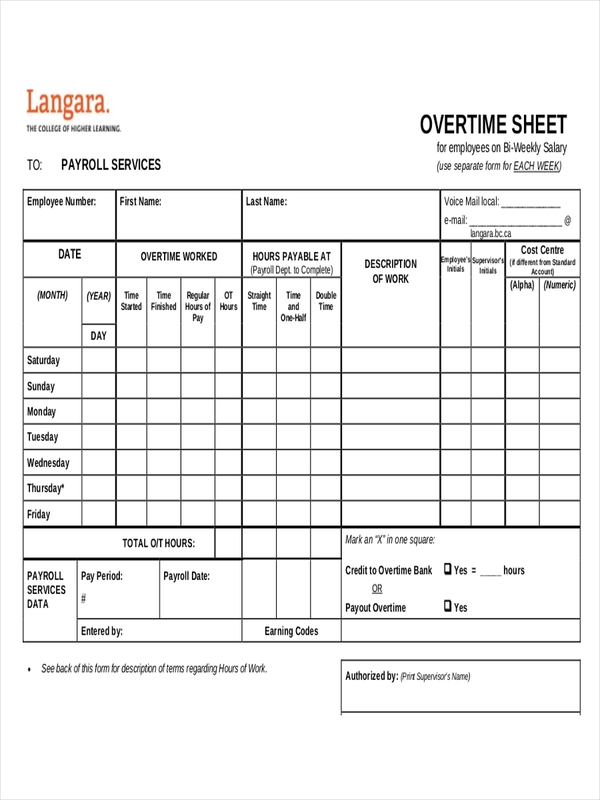 But if overtime happens often in your line of the work plan, keeping a separate overtime sheet will greatly streamline data retrieving for a statement of purpose regarding payroll. 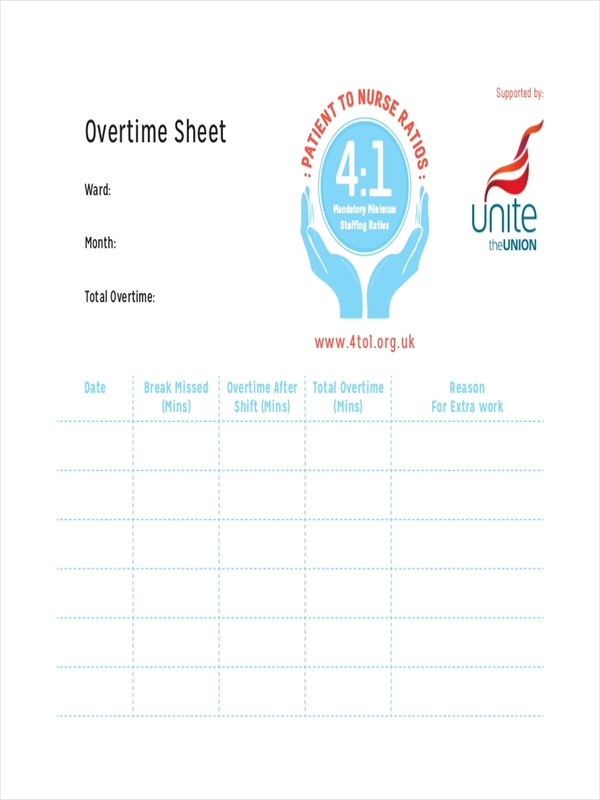 What Is the Purpose of an Overtime Sheet? Company policies regarding overtime work differ from company to company. The filling up of an overtime sheet is not only in accordance with any company policy but is also there to safeguard both the company and the employee. Compensation. The overtime sheet is part of the overtime policy procedure set up by a company to make sure that an employee is correctly and consistently compensated for overtime hours. This also goes without saying to ensure that the company bills the proper hours in terms of work hours charged to operating expenses. Fairness and safety. 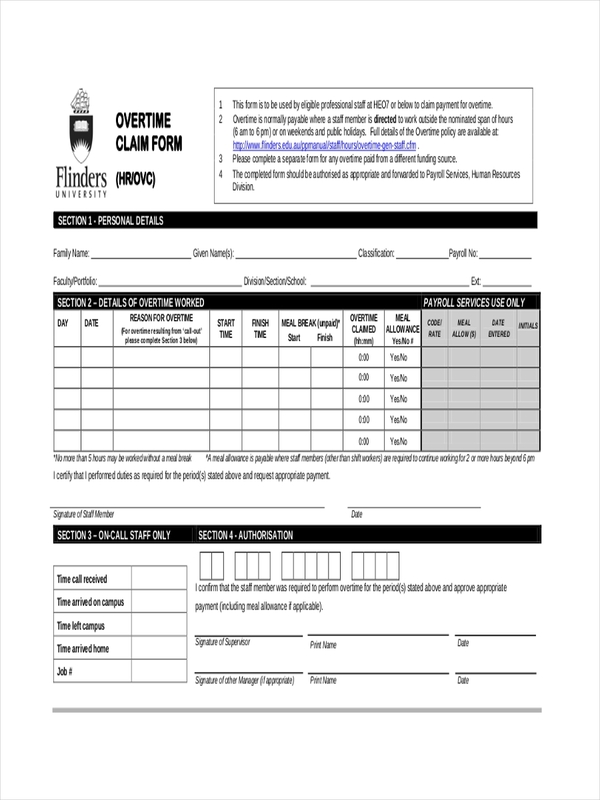 Overtime sheets are also used to track discernment of an employee’s work schedule patterns in order to minimize abuse of overtime, productivity loss equating to poor efficiency, and health and safety issues, among others. Sample sheets in Excel and Sheet example in word shown here may provide additional information regarding an overtime sheet.